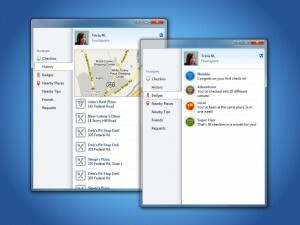 Cerulean Studios, the makers of the popular and widely used Trillian chat client, recently announced the 5th major release of Trillian for Windows. Since 2000, Trillian has let users access multiple instant messaging services from a single application. The latest iteration brings a fully native Windows 7 integration, a new user interface, support for new social networks, and many other improvements. 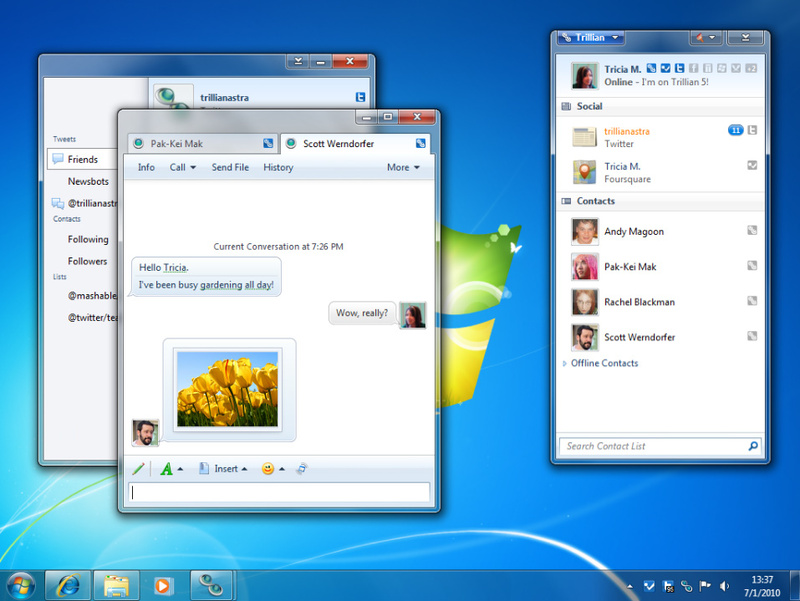 Although designed and optimized for Windows 7, Trillian 5 also runs on XP and Vista. The new interface is highly scalable to accommodate different screen sizes whether it’s a low resolution netbook or a high resolution monitor. And for those that enjoy tweaking the application, Trillian 5 is highly customizable with tons of custom settings, themes, and more. And if you don’t run Windows, Cerulean Studios is also working on a Mac version, which is still in beta. 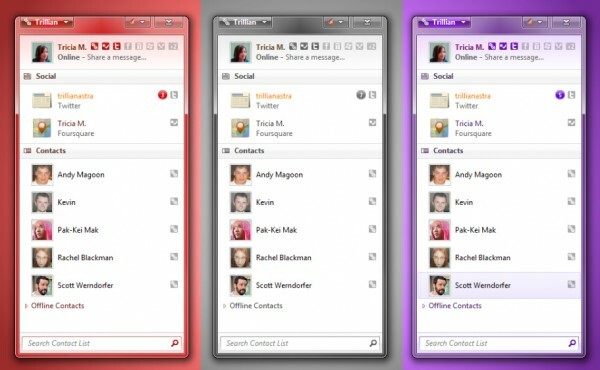 And for smartphone users, a mobile iteration of Trillian is available for iOS devices: iPhone and iPod Touch. The company has apps for Android and BlackBerry phones in the works as well. 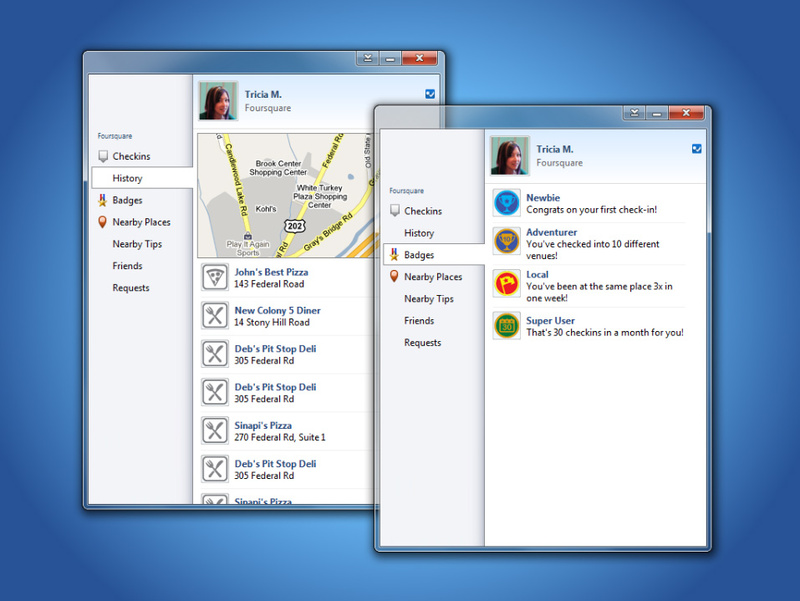 While Trillian has offered support for AIM, Windows Live, Yahoo!, Google, Facebook Chat, Jabber, and Skype for sometime, the upcoming release adds integration for Foursquare and LinkedIn. (Facebook chat protocols are revamped to use XMPP too.) The new Foursquare plugin isn’t limited to viewing activities of friends, but rather lets users check-in to locations using the native GPS support in Windows 7. While this doesn’t necessarily fall into the category of “chat,” it’s a mobile location-based social networking service that has grown tremendously. And that goes hand-in-hand with revamped versions Facebook and Twitter news streams that Trillian 5 brings. As for the LinkedIn plugin, it lets users view their Network Activity and share updates with their connections. While Trillian’s Chat History feature is an amazing addition for referencing previous conversations, it had one major issue. For those with multiple machines or mobile phones running a second or third instance of the application, chat logs at every location were unsynchronized. The text of a conversation that took place on a laptop wouldn’t appear on you desktop. Trillian 5 links and maintains consistent copies of conversations on every machine using the company’s network infrastructure. This feature conveniently allows for beginning a conversation on your mobile phone and continuing it, undisrupted, on another machine. For those that get exhausted checking various social networks in their browser and having to install multiple chat clients to communicate with different sets of friends, I’d highly recommend giving Trillian 5 a test run. While it’s still in beta, even the older Trillian 4 series has a lot to offer. 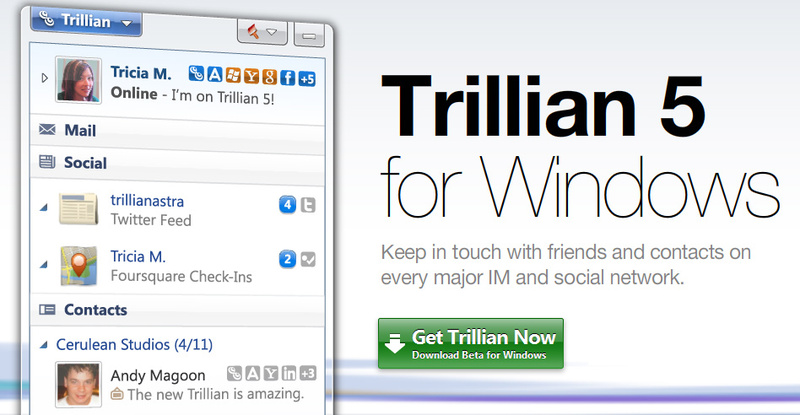 And if it’s something you are considering purchasing, Cerulean Studios currently offers Trillian Pro for just $15. Editors Note: This article was co-written and edited by Sahas Katta.